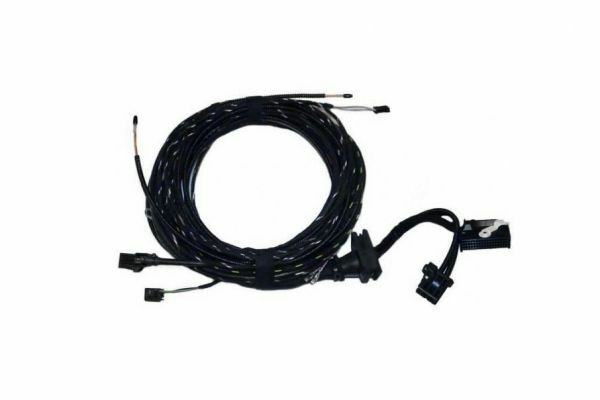 Product information "Bluetooth (with SAP) car phone cable set for Audi A6 4F"
Wiring harness for the retrofit original Bluetooth Handsfree with SIM ACCESS PROFILES (SAP). SAP makes the use possible to use a Bluetooth cellphone (also in combination with a wire handset) without accessing the GSM module of the cellphone. The data of the SIM card are read via SAP and used by the interface while the cellphone is in standby mode. The call is to be arranged by the phone interface with stronger transmission. Minimal use of the battery of the cellphone, also while talking. No harmful radiation inside the car. In comparison with a cellphone the integrated GSM module is obviously stronger and more reliable, especially at high speed. Strong digital processing of signals reduces echo and noise interference. You don't need a 2nd SIM card like with a conventional in car telephone. Shows SMS messages in the MMI. Please obey the compatibility to your Bluetooth phone (List of compatibility from Audi). You can find a more detailed description of the functions in the manual of the MMI Infotainment system, chapter NAME, TEL. Customer review for "Bluetooth (with SAP) car phone cable set for Audi A6 4F"
Properties: "Bluetooth (with SAP) car phone cable set for Audi A6 4F"
Installation manuals for "Bluetooth (with SAP) car phone cable set for Audi A6 4F"